As Melbourne’s urban areas sprawl and the debate around housing density and apartment sizes continues, Fairweather Homes maintains a commitment to infill projects to activate pockets of inner urban land which are otherwise under-utilised. 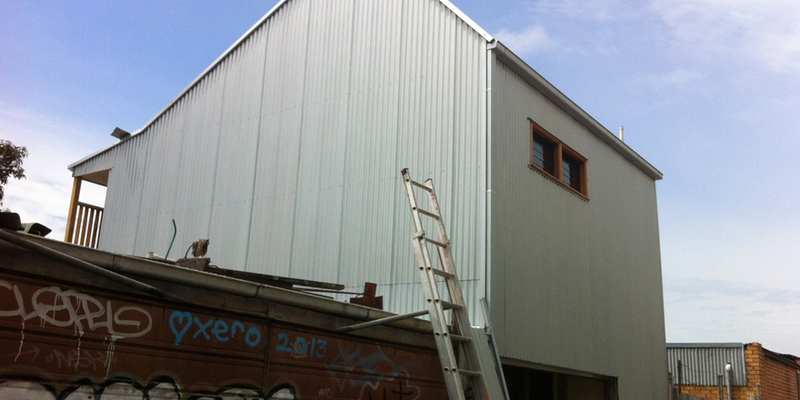 The Brunswick studio replaces a dilapidated store room and workshop with a new garage area with self-contained studio above. This allows for an ageing parent to move closer to the family and for teenage children to enjoy a flexible creative and active space. Fairweather Homes capitalised on the north orientation for the benefit of solar electricity and sunlight to the habitable spaces whilst providing shading and screening to protect from harsh summer sun. Interaction with the yard and rear lane provides ongoing flexibility for the life of the building. We have provided another comfortable and sustainable solution to suit the owner’s lifestyle, site & budget.